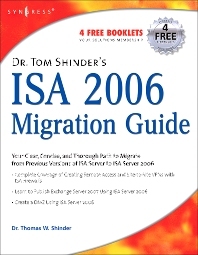 Highlights key issues for migrating from previous versions of ISA Server to ISA Server 2006. Learn to Publish Exchange Server 2007 Using ISA Server 2006. Create a DMZ using ISA Server 2006. For system administrators and security professionals who are migrating from previous versions of ISA Server to ISA Server 2006 in order to secure their network.